Auto Service & Repair Serving Cape Cod, MA & Beyond! While major repairs are hopefully only an occasional need for your car, regular maintenance of all kinds can be conducted at the service center here at our Hyannis, MA Nissan dealership serving Barnstable, Falmouth, Plymouth, Mashpee, and Bourne, making us your best bet for all your auto needs. We’re conveniently located for whenever you need anything from routine maintenance to a major repair. Head on over to 322 Falmouth Rd, Hyannis, MA today on Cape Cod and near Martha’s Vineyard and Nantucket and we’ll get you started. From the ease of scheduling service appointments to the great service specials we offer, there are several reasons to use our Nissan dealership on Cape Cod for all your maintenance needs. 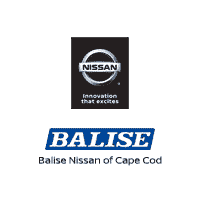 Take a look at what kinds of repair and maintenance work we offer here at Balise Nissan of Cape Cod and come over today to get started. Oil Change Service: One of the best ways to keep your Nissan or any kind of car running at its best is with routine oil changes. This will also allow our Nissan experts to take a quick look throughout your car and offer recommendations if there are parts too worn down, or other issues that might need fixing. Major Repair Work: As much as you’d like to avoid these costly repairs, they’ll pop up eventually. If you’re set on keeping your car running for years to come, our Nissan dealership is the place for all things needing repairs, from brakes to the engine to the suspension system. Our Nissan experts know the ins and outs of any model, and we’ll make sure your car is back out on the road in better shape than it came in. Tire Center: Beyond selling new tires, we’ll repair minor damage, align your wheels, check your pressure and so much more. This is only a brief glimpse of what we offer at the service center here at Balise Nissan of Cape Cod, so come over today and see how else we can keep your car in its best shape. One of the reasons why oil changes are popular is because oil is known as the lifeblood of your new Nissan or quality used car. Receiving frequent oil changes avoids sludge build up and can improve overall gas mileage. If you don’t receive regular oil changes, then you may end up paying more for repairs down the road. You are welcome to bring your vehicle down to our Hyannis Nissan dealership, and one of our trained professionals will check your oil for you. Learning about which tires are needed for your vehicle is important to keeping you safe on the roads of Falmouth, Bourne, and Mashpee. Your driving and maintenance habits play a major role in the wear and tear of your tires. That said, it is a good idea to check your tires for camber tire wear and edge tire wear. For example, getting winter tires in the cold months offer the greatest performance. Since they are made with rubber compounds, they are crafted to stay soft and grip the road when temperatures drop. The last thing you want is to be stranded around Martha’s Vineyard or Nantucket with a dead battery. If you are wondering if your battery may be too old, you could always take a look at the four or five-digit date code on the cover of your battery case. If you need battery assistance, you can visit our service center, and one of our technicians will perform a battery test. Our Barnstable and Plymouth drivers usually ask us when they should get their brakes changed. We believe you should get them checked or changed if you hear any squeaky noises when you press down, if it takes you a long time to come to a complete stop, if you see a brake warning light, or if you think there may be a brake fluid leak. If you’re not sure when the last time someone took a look at your brakes, then now is a good time to bring your car over to our service department.